Specialist plant and equipment hire. Our partnerships help you find the right solution to get the job done. Speedy’s huge range of tools, equipment, power and other hire essentials gives you the widest choice in the industry. 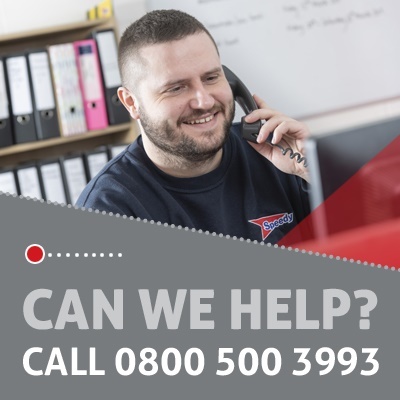 But every so often, customers come to us for help with something outside our core range. Which is when our Partnered Services team steps in. From 8t excavators to 1,000t cranes, specialist powered access and industrial sized heaters, we can source it all. You get the benefit of a hassle free service; we do all the sourcing and organising so you don’t need to, and it’s all through your Speedy account too.